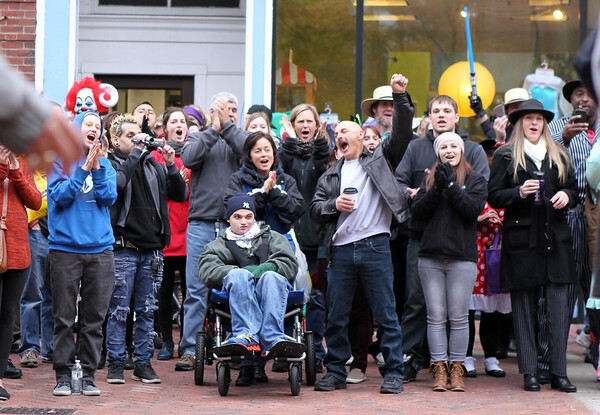 A large crowd gathered for a group of street performers cheers loudly on Halloween afternoon in the Essex Street pedestrian mall. DAVID LE/Staff photo. 10/31/14.